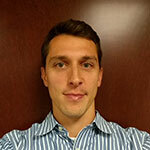 Jared is a subject matter expert in sustainable solutions and vegetative green roof systems. He has managed more than a 1,000 GreenGrid projects all over the US, and is regularly consulted by Owners and Architects alike for guidance and technical support. 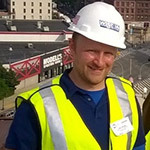 He is a LEED-accredited professional with more than 15-years of professional experience designing, implementing and maintaining green roof systems. He has led hundreds of technical presentations, published green roof articles and collaborates regularly with various professional trade associations. 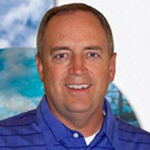 Todd is project management professional with more than 30-years of professional experience managing design-build and environmental restoration projects. He has extensive experience involving business development, strategic planning and sales management including expanding GreenGrid operations to the US east coast region. Mike expedites all things ‘GreenGrid’. He reviews plans and specifications, he prepares quotes, he handles purchasing and finance, and insures order fulfilment. He is a versatile professional with a finance background and will promptly address your next GreenGrid inquiry. Ben is is part of the GreenGrid field services team. 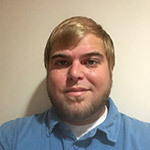 In this capacity, Ben assists with assembly of the GreenGrid system and pre-growing, transportation logistics, and supervising specialty contractors while installing the GreenGrid system. 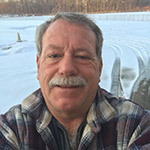 He is also a skilled plant maintenance and environmental technician and assists with periodic site inspections and maintenance of GreenGrid projects in the Northeast U.S..
Ralph is part of the GreenGrid field services team. In this capacity, Ralph assists with assembly of the GreenGrid system and pre-growing, transportation logistics, and supervising specialty contractors while installing the GreenGrid system. He is also a skilled plant maintenance and environmental technician and assists with periodic site inspections and maintenance of GreenGrid projects in the Northeast U.S.
Nadia is part of the GreenGrid field services team. In this capacity, Nadia assists with assembly of the GreenGrid system and pre-growing, transportation logistics, and supervising specialty contractors while installing the GreenGrid system. 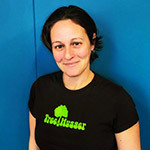 She is also a skilled plant maintenance and environmental technician and assists with periodic site inspections and maintenance of GreenGrid projects in the Northeast U.S.